I bought my HP 915 printer 2 years ago and used it with my old Acer laptop running on Windows Vista (ugh, I know…). This printer was a beauty and still is. Being an all-in-1 printer (printer, scanner, fax machine, photocopy machine, etc…), it has served a lot of purpose since I bought it. It is still alive and kicking and still looks new 🙂 Not to mention that this model of HP printers boasts one of the cheapest ink cartridges in the market! Actually, that is the reason why I bought the printer in the first place – for the cheap ink cartridges. I have saved a lot in the long run. The printer of course comes with the drivers and an installer of its full feature software. Via ‘HP Solutions’, the application name of the software, you will be able to do everything that the HP 915 is capable of doing. But then, I bought a new Acer 4740G laptop which runs on a 64-bit Windows 7. Normally, 32-bit applications work fine in 64-bit operating systems. But in this case, the HP software did not work on my Windows 7 machine. Of course, I searched the internet for an official software for my HP printer but found none. What I found though is another solution to make my printer work. For longtime computer users this should be obvious, most hardware nowadays are plug n play. I should have known better myself but common sense it seems is not without a bit of irony. If you are not familiar with the term ‘Plug n Play’, it simply refers to hardware devices which do not need any installer or whatsoever before you will be able to use it. All you have to do is ‘plug’ the device (connect it to the computer) and then ‘play’ (do whatever the hardware does). I know the post title is a bit misleading but that is on purpose. Those searching for a Windows 7 installer for HP 915 will find this post and hopefully be helpful. So just to reiterate, to be able to use your HP 915 printer with Windows 7, just connect your printer through the USB port, turn on the printer and voila Windows 7 will take care of the rest by auto-installing the necessary drivers to make the printer work. But I do not have software to use the printer, what should I do? Yes that is true, but all we need to make things work are the drivers. Since Windows 7 has already taken care of that via Plug n Play, I will show you other programs already available that we can use in place of the HP software. 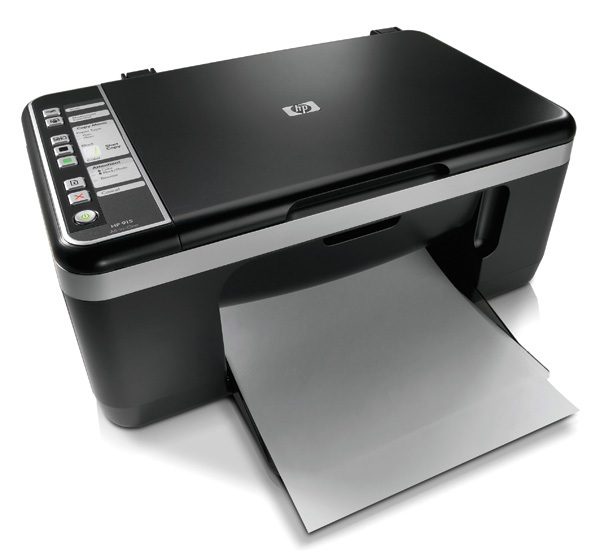 Two major capabilities of HP 915 is of course the printing and the scanning. Printing should not be a problem. If you want to print anything, just do so as you normally would and then simply choose the HP 915 printer from the list of Printer options when you click the Print command. For scanning and faxing purposes, you can use the built-in Windows Fax and Scan program available at “All Programs” when you click the Start button. Basically that’s it. If you want detailed instructions, you can visit this page. I came acrossed this blog of yours, I also have the same problem like you but the thing was my computer detected my HP 915 in Device Manager and when I try to print in MS Word my printer doesn’t show in the list of printers. What will I do? Hi Rannessa – Does it show in the “Devices and Printers”? THANK HEAVENS FOR YOUR BLOG! i thought my hp printer would go to waste T_T good thing i didn’t give up! thank you so much. it’s very heloful. Thanks a lot for your blog. I struggled to understand how to scan using my printer 915. I eventually had to take a photocopy of my daughter’s stuff last night (old exam question papers for practice whichshe had borrowed it from a colleague) and actually wasted a lot of ink. I saw the blog eventually today morning and this really helps. thank you so much!! !maraming salamat! Paolo, the plug and play option works well for printing and basic scanning. I however seem to have lost the ability to scan multiple files into one single pdf document (that is the primary reason why I depend on 915’s all-in-one software). Anybody got an idea as to how to go about scanning multiple files into a pdf document? I guess, you only have that in the official software. Well what I would do is, scan all individual files, insert them into a Word document and then convert the Word document into a PDF. Hope that works for you. But what about OCR trace, I was using the best HP 915 OCR text software with windows XP, unfortunately, it doesn’t work with Windows 7. Any solutions pl? Unfortunately, I don’t know the answer to that question. I think by now, they should already have ported their software to Windows 7? Please check.